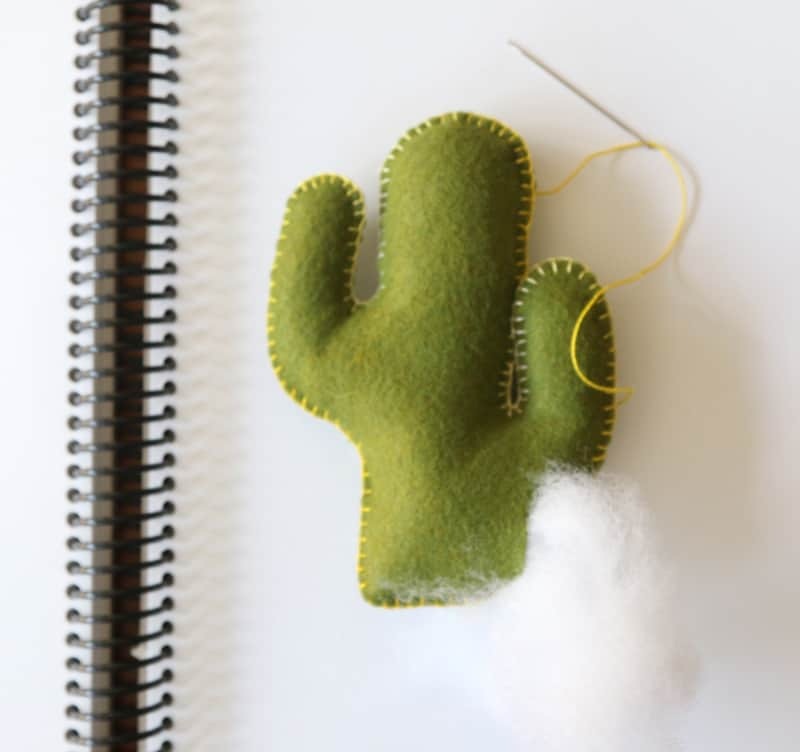 It had been a while since I’d done anything crafty and at a certain point it became hard to jump back in. Ever feel that way? 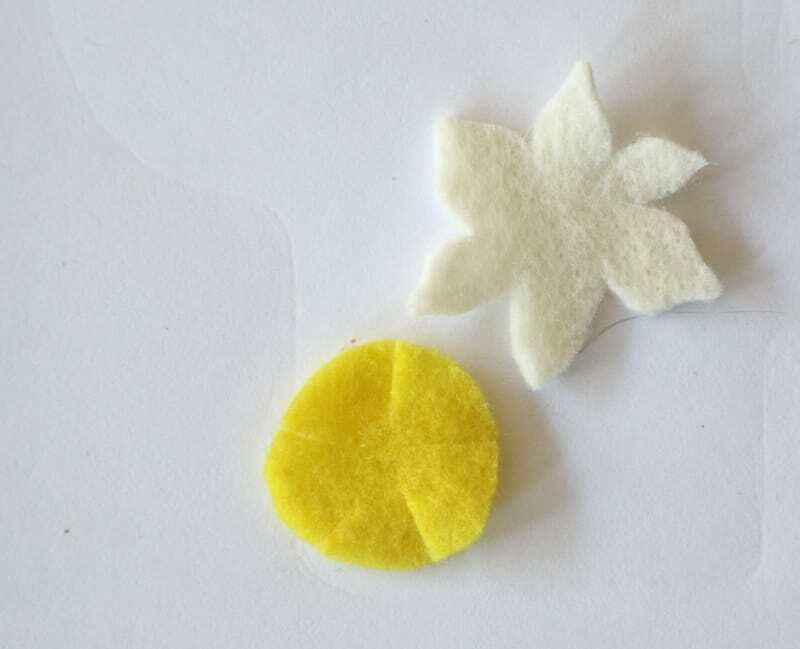 Yesterday I grabbed a scrap of wool felt and some embroidery thread and forced myself to stitch. 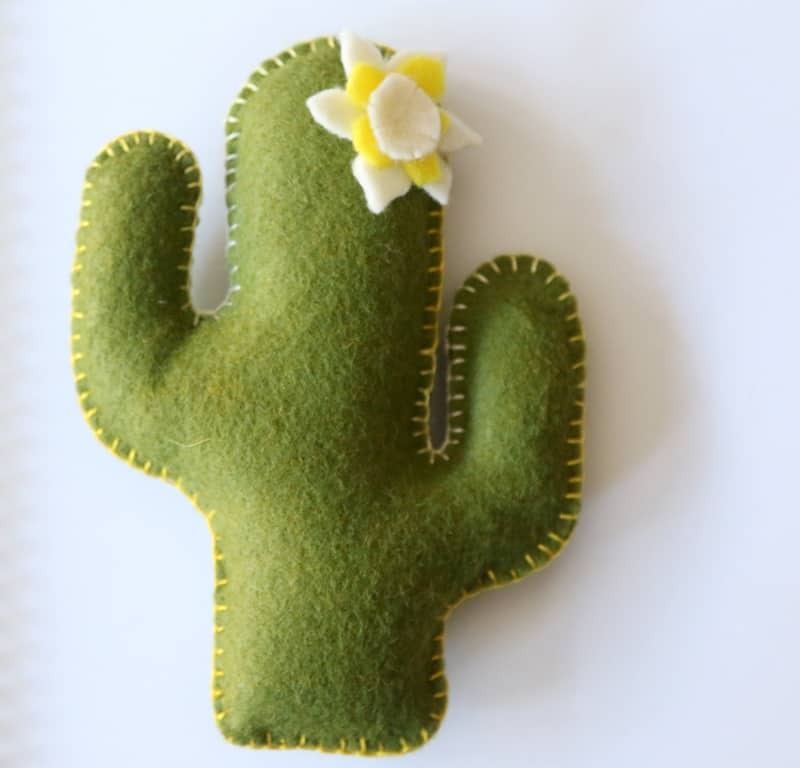 I had wanted to make a cute cactus pin cushion for a while so it felt the the perfect quick project to start with. It was so rewarding to use my hands again and the girls thought it came out super cute. 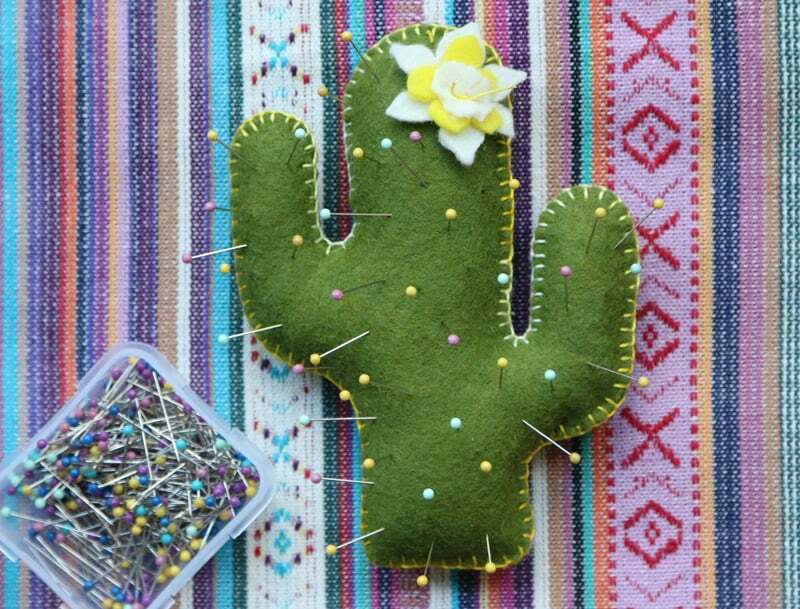 They want to use the pattern to make more pin cushions and even pillows now. If you and your craft are on a break, I highly recommend a reunion. 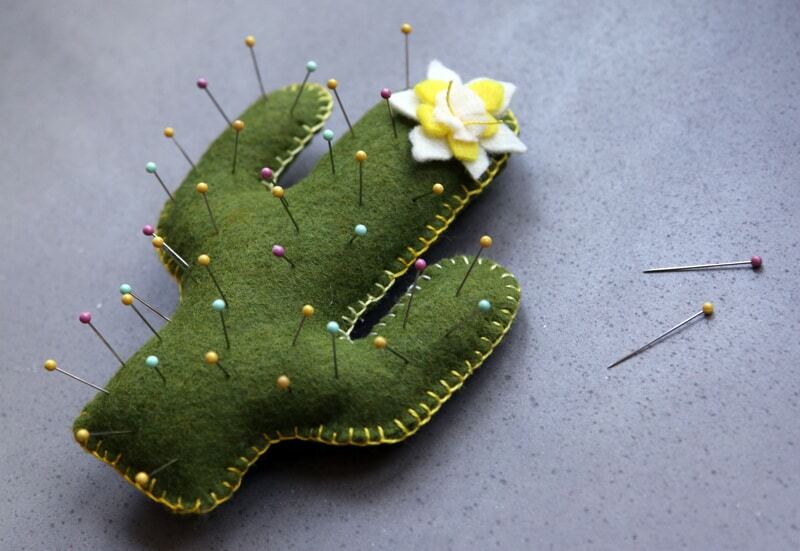 Here’s how to make a Cactus Pin Cushion with our Free Cactus Pattern. 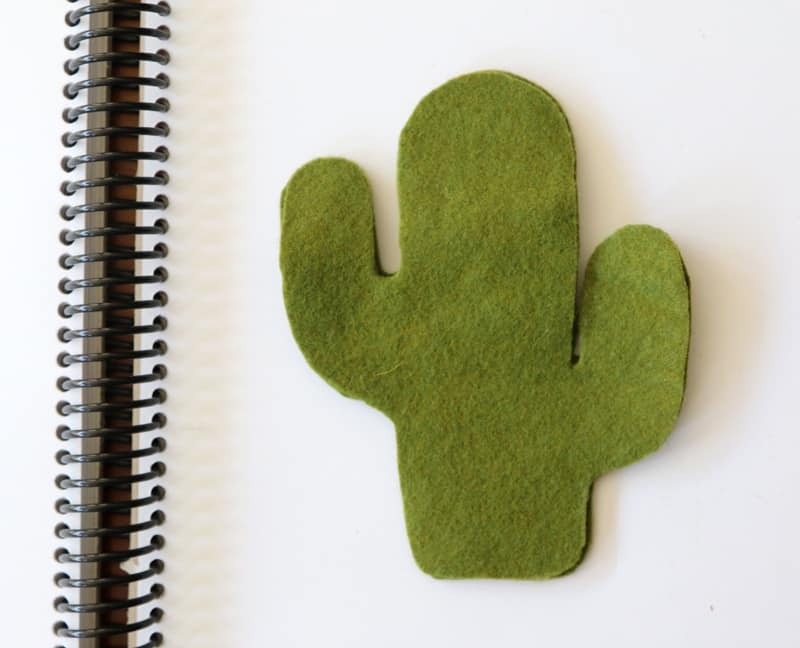 Print and cut the free cactus pattern, and lay it over a double layer of high quality felt. 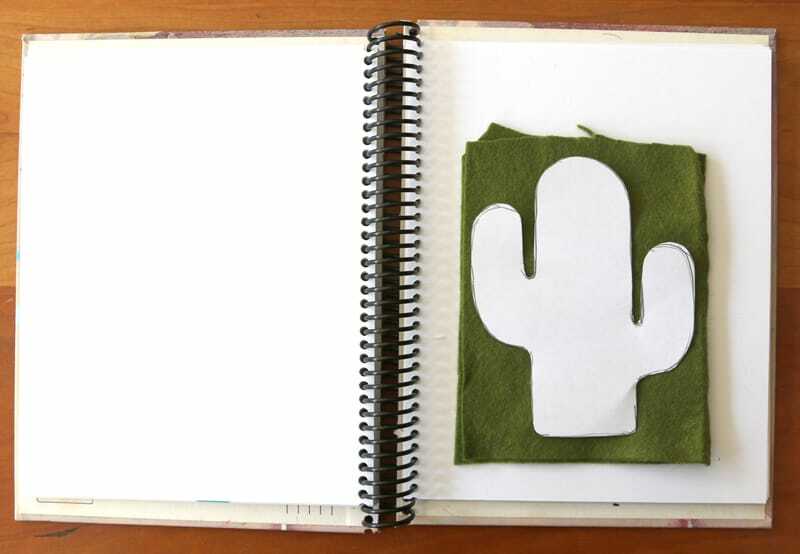 Trace the pattern and cut out 2 cacti. 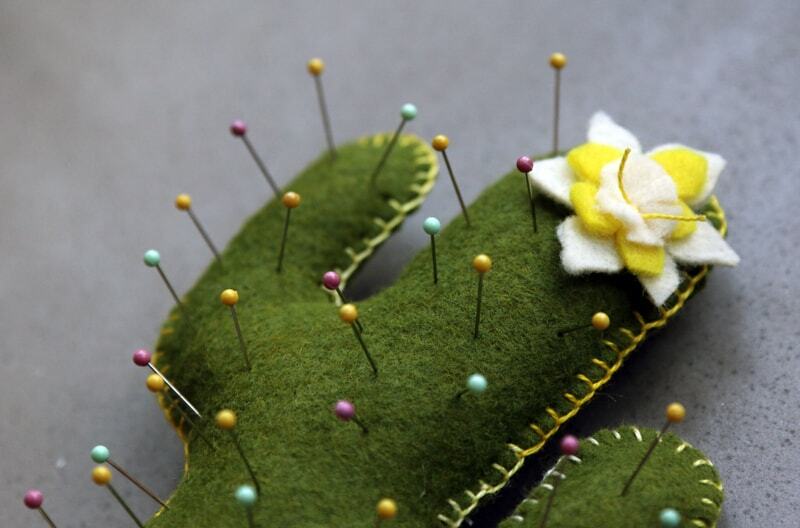 Use a blanket stitch to sew around the edge of the cactus with #5 pearl cotton and an embroidery needle. I love this variegated thread. 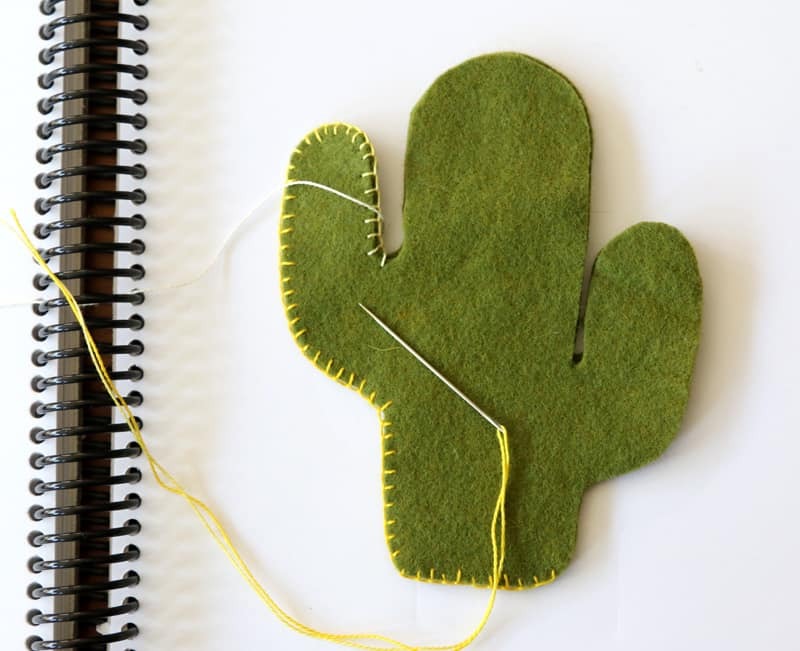 Leave a space open to tightly stuff the cactus. You can add beans at the bottom for weight if you wish. 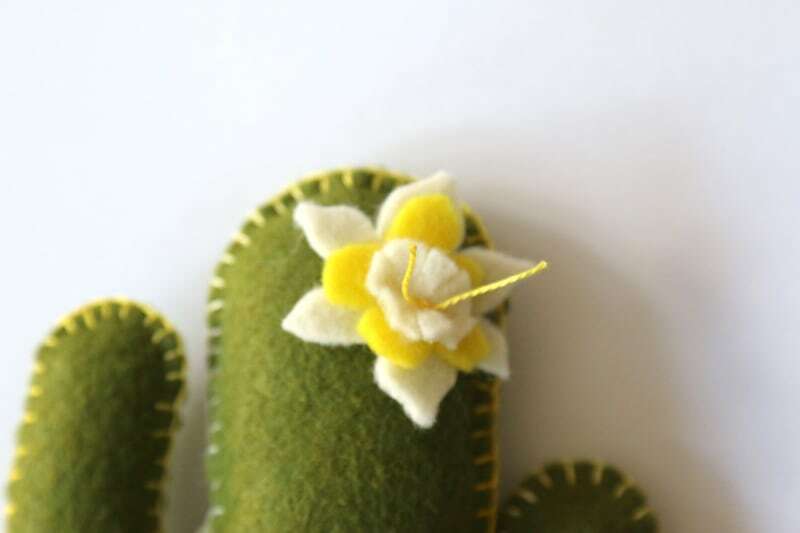 Stitch the flower in place with the embroidery thread. 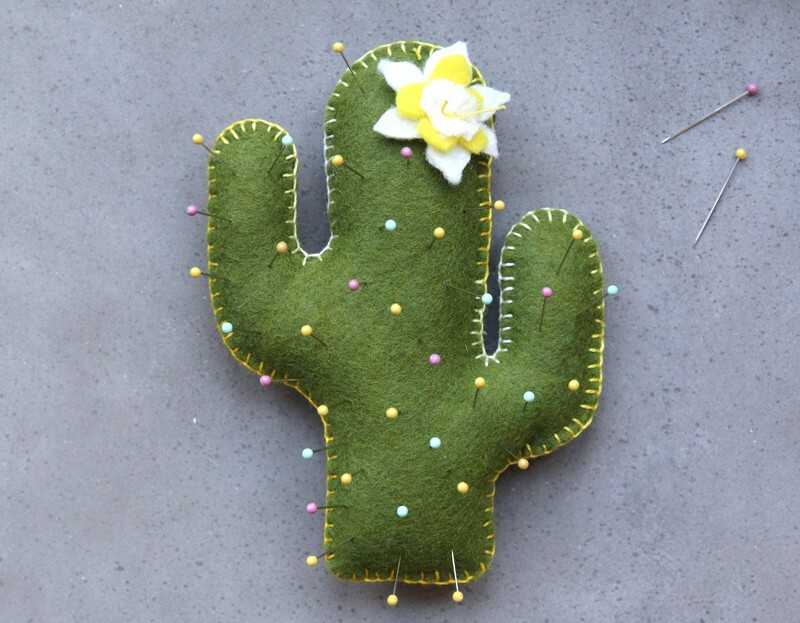 Fill your cute cactus with pins. 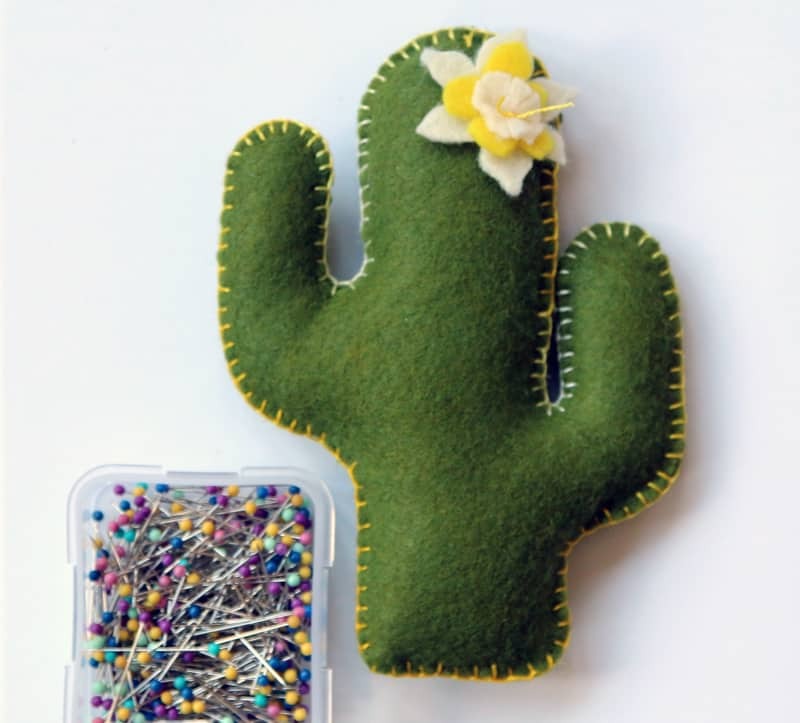 Thanks I have been looking for a felt pin cushion pattern and the cacti pattern will go well with my cacti hoop art in my sewing room.